- How much will it really cost me? If high tuition fees and scary stories about funding ‘black holes’ haven’t put you off the idea of doing a masters completely, then well done, you have tenacity. Yes, funding is different and certainly less plentiful for postgraduates, but let’s not beat about the bush; how much will it actually cost you? Living costs: How much will you need? It depends largely on the city you will be living in and whether you have to travel each day as to how much you need to budget for your living costs. It’s unlikely that buying clothes and eating out will be your main priorities, but it’s best to always over budget, in case of the unexpected. Course materials may be bought at different points in the course or at the start, so the monthly figure is an overall average. This table breaks down the monthly costs that will inevitably vary by city. The second set of figures is made up of things that won’t differ by city, but will by lifestyle and personal preferences. The first place to start is you bank account. As obvious as it sounds, having the right account with benefits tailored to graduates is essential when assessing your funding options for postgraduate study. If you have finished an undergraduate course since 2011 then you are eligible for, and will still benefit from, a graduate account. 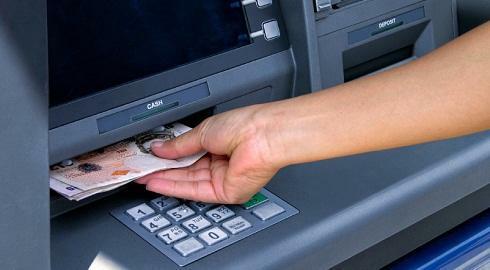 Some banks will automatically switch your student account to a graduate one; Lloyds and the Halifax both do this. However, if your bank did not do this and you don’t already have a graduate account with an interest free overdraft facility then don’t delay! Lloyds offer £2,000 in your first year, £1,500 in your second and £1,000 in your third; Santander similarly offer £2,000, £1,000 and £500. NatWest and HSBC both accept transfers after graduation, as do RBS, but the others require you to have held a student account with them. For more information about graduate accounts, see Money Saving Expert. One key source of funding comes in the form of a career development loan, where the government pays the interest whilst you learn but you are responsible for repayments, including interest, two months after the course is completed onwards. However, there may be relief for extenuating circumstances, if you find yourself in financial hardship; to find out more about this you should contact the bank in question. Two banks offer these loans: The Cooperative and Barclays. To be eligible for a CDL, your course must last a maximum of two years (or three if it includes a year of work experience) and be provided by an organisation on the Professional Career and Development Loan Register. It’s best to check with the course provider, but most postgraduate courses and professional training courses are on there. - Intend to work in the European Union, Iceland, Norway or Lichtenstein when you’ve finished your course. Oliver Duggan took a career development loan out to pay the course fees for his journalism MA at City University. Although the course helped him land a job on a graduate scheme at a national newspaper, applying for the loan was a harder process than he imagined and he’s now committed to repayments for the next four years. “It was a nightmare. The first step is ordering the prospectus/application form, which is simple enough, and then you chose one of two banks that offer the scheme - the Co-op and Barclays. There is very little between them and I know people who bank with Barclays who seemed happy enough so I went with them. The repayment structure seemed manageable and the process slightly easier, but I may have been wrong about the latter. It took four attempts before the bank was happy with my paper work. You have to provide three months of full, itemised bank statements. You have to post them. You have to provide a perplexing mix of original and "approved copy" proofs of identification. The process is, by far, the most frustrating and time consuming bog of paperwork I have ever encountered. It does however provide ample opportunity to really consider whether the chosen ‘career development’ is worth the hassle of the loan. The interest free, no repayments for the duration of the course is obviously the biggest pull. In truth, it isn't the ideal way to fund a course and I imagine for most people it is a last resort. But its government -backed and provided by reputable lenders so there is some security. I'm staring down the barrel of a considerable loss of earnings for the next 48 months. Repayment dates and amounts are non negotiable. There are no second chances, no excuses that can be offered. The paper work is very clear on this; you best earn enough for the monthly repayments or they'll be trouble. That's a huge amount of pressure to put yourself under. For the months that I was applying to jobs I developed quite bad insomnia; I lost and gained weight and I was on edge a lot. In that respect it isn't like a traditional student loan, which seems somehow non-existent or at least so abstract that it needn't exist in everyday considerations. This is a grown-up, big boy, no frills loan, plain and simple, and in your early 20s- a period of flux- it's a sobering responsibility. It’s likely you will have to sign an agreement binding you to the company for a certain period of time, which won’t come as a great surprise! - How much will they contribute? - How long will you be tied to the company for? The first place you should look for a bursary or scholarship is the university. There are both university-wide and department specific bursaries, depending on your subject and/or circumstances. Some postgraduate courses come with a certain number of scholarships attached. To see if the subject you are interested in has scholarships for various programmes search for it on Scholarship Search. Most universities offer discounts to alumni, so for an automatic boost to your search for funding, consider staying on (or going back). However, your course is an investment; evaluate the department and the reputation of the course carefully and don’t be enticed solely by cost. There are also a few subject specific bursaries across various UK universities, provided by charities or trusts. These are harder to come across. A good list of general scholarships and bursaries, both specific and non specific to universities, can be found at Scholarship Search and Postgraduate Studentships. Postgraduate search are offering a cash bursary to anyone hoping to enter a postgraduate course in Autumn 2014. Research Councils are publicly funded bodies that exist to further research in various academic fields and subject areas. Part of their role is to fund PhD and Masters students. Your university applies for funding and courses or subjects that have received grants from research councils should advertise this when prospective students are researching courses or applying. You will then have to apply to the department or school, so it varies from university to university as to the competition and application requirements. Some charitable trusts and professional bodies support various industries or professions as it is in their interest to further research in that area or train more individuals to work in field. Law: The Law Society offers a range of bursaries and grants, depending on course and circumstances. Journalism: The Scott Trust gives away 6 scholarships to people pursuing journalism courses at City, Goldsmiths and Sheffield. Geography: The Royal Geographical Society annually supports more than 50 fieldwork projects; for PhD, Masters and Undergrad students. Publishing: The Stationers Company offers 10 Bursaries to postgraduate students on specific courses related to Communication and Content industries. For study of a religion: The Spalding Trust offer grants to institutions and individuals, for the latter they will support costs involved in a research project or the publication of such results. They are interested in aiding research that is ‘backed by a professional ability to raise the standard of knowledge of religious principles and practices, and to interpret their relation to contemporary society. You may be able to access funds from a charity specific to where you live, or where you will be living during your masters. Often small towns and rural communities have charities and hardship funds where money goes unclaimed; whether its £100 for books or £1,000 toward tuition, every little helps. If you can demonstrate that you were, or are, a contributing member of the community, or just simply a resident for a period of time and that you are hoping to further your education and job prospects with a masters, you may be able to secure a financial contribution. A lot of these charities unfortunately don’t even have websites, so asking around and making calls should also form part of your research. Think about your circumstances. How much do your parents earn? How much did you, or are you, earning at the moment? Are you the child of somebody working in the Church of England or any other religion; are you a member of religious group? Are you a woman from Yorkshire? Are you a vegetarian? (No, really). Although hard to find, these obscure and niche funding opportunities do exist. - Woman from Yorkshire? The Council offers sums between £100 and £500. The average grant is likely to be £200-£300. Grants supports fees only and are paid direct to institutions. If you are from an ethnic background there are various opportunities for funding, but again, often these are niche and it takes more than a Google search to find them all. Certain industries with a lack of representation from various ethnic groups offer not only internships but also scholarships and bursaries. Working for the university is a great way to fit part-time work around your studies. Whether it’s acting as an ambassador for open evenings or admin tasks, they will pay you fairly and understand that you are there first and foremost for your study, especially as a postgraduate student. NB. You should speak to your tutor prior to finding part-time work to check whether they think you will have enough time to make it a realistic option. Didn’t get a scholarship? CDL not enough? Family can’t help? Perhaps it’s time to be creative and think about how your study can benefit others and use this to encourage donations from strangers; better known as crowd funding. Start-ups may have dominated this medium but it’s rapidly changing and more and more people turn to the community of the World Wide Web in their quest for help. Can you present a convincing case? Student Funder, a relatively new site acts as a platform for prospective students to appeal for funds for their course. Some of their previous campaigns certainly set the bar high, but it’s all about being creative, convincing and most of all persuasive. Try to think about how your study will help develop not only your prospects, but also a particular field or specific community. If your subject is niche or something people won’t necessarily know much about, then add colour to your campaign with information; try to relate to potential investors and step out of the world of academia. - Have an admission letter from a UK further or higher education institution. - Genuinely need funding and be committed to succeed running a campaign like this one. - Commit to help at least three more people crowd-fund on this platform to fund their studies. - Promise to be honourable and awesome. See previous and current campaigns on student funder and check out another similar crowd-funding platform, Indiegogo . Student funder will take 4% of your total raised funds, or 9% of your failed ‘flexible’ campaign. (See site for full terms and campaign types) Indiegogo will charge a 9.0% fee on the funds you raise. If you reach your goal, you get 5.0% back (so an overall fee of 4.0%). - Student discounts and loyalty cards are your best friends. Pretty much everywhere has one now and even if you find a wallet full of plastic annoying, make sure you are reaping the benefits of your purchases by having cards for the stores you frequent the most. Tesco Club Card and Nectar are the better known, but for the highest number of points per pound and best offers, Boots is one to get. Even if you’re not exactly high maintenance, everyone needs the basics. If you don’t buy books online get a Waterstones loyalty card, you get points and money off every time you shop. The Body Shop Love card offers 10% off every time you shop plus various freebies, and what’s more, you can use this 10% on top of any other in store promotions (e.g. 3 for 2) which they pretty much have all the time. - Young Person’s Railcards are essential and you will get the cost of the card back very quickly, depending on where you travel. They cost £30 but with discount codes (inside the leaflet you find at train stations) you can get one for £27. - For London: the TFL student (18+) Oyster card (£10) will be your saviour if you travel every day at peak times as you can get a weekly season for zones 1-2 for approximately £20. If you don’t travel every day or do so during off-peak times then simply connecting your Young Person’s Railcard to your Oyster (which you need to register first) will get you a third off all single tube journeys and a day ticket for zones 1-6 for around £6 (normally £8.40). - If you use trains a lot and find yourself peckish or in need of a caffeine lift at stations then get a Bite card. It’s free and you will get 20% off at various food and drink outlets in all UK rail stations. This includes, Café Ritazza, Burger King, and the Camden Food Company amongst others. -Cycling and walking is both healthy and virtually free. Some universities offer free bike checks and various incentives to encourage you to travel on two wheels. When it comes to food, costs vary on how much you eat, whether you cook for yourself or a group and ultimately how much meat you eat. - Why not go vegetarian for half the week? - You won’t be alone in your money saving efforts; we’re in the midst of a recession (stating the obvious) and austerity chic is all the rage. The latest trend is Austerity Chefs, A Girl Called Jack writes about living below the line and creates simple delicious recipes that have landed her a book deal and Guardian column. Save with Jamie is Jamie Oliver’s answer to the increasing cost of food, but you will have to buy the book. - Yo! Sushi offer a 25% discount for students, See here for full details on when/where this applies. - Prezzo, Pizza Express, GBK and Café Rouge etc. are never without a deal of some kind; to keep on top of them and get the offer codes, download the apps. -Some banks only take current student account customers.